James Mackenzie (born 15 May 1979) is a Scottish actor, best known for playing the original lead role in the children's game show Raven . His titular character's catchphrase on the show was "Let the challenge... Begin." He has also played Gary Trenton in the BBC Scotland soap opera River City . Raven is a multi-BAFTA-winning BBC Scotland children's adventure game show. It originally aired on CBBC in the United Kingdom from 16 December 2002 to March 2010, over the course of ten series, with three spin-offs. In the original release, the show was hosted by James Mackenzie who played the title role, and conducted a group of six children, known as warriors, over five days through a series of tasks and feats. At various stages in the adventure, the group loses the least successful warrior, until two go through to the final week to compete for the title of Ultimate/True Warrior. Mackenzie was born in Dundee and has lived in Scotland all his life. He was educated at Queen Margaret University College, where he studied acting. He is the son of actor Michael Mackenzie, who in the 1970s played the title role of Tarot in Ace of Wands , a cult children's TV series of the time; Mackenzie Sr. also made several appearances in Raven: The Island as Cyrus. Ace of Wands is a British fantasy children's television show broadcast on ITV between 1970 and 1972, created by Trevor Preston and Pamela Lonsdale and produced by Thames Television. The title, taken from the name of a tarot card, describes the principal character, called "Tarot", who combined stage magic with supernatural powers. Tarot has a pet Owl named Ozymandias, played by Fred Owl. The series was replaced by The Tomorrow People in 1973. Raven: The Island is a BBC Scotland children's adventure game show, and the first spin-off to the main series, Raven. It comprises one series, initially airing in 2006 on the CBBC Channel, and then during CBBC on BBC One. In this series, warriors compete as teams and attempt to complete the many challenges on the island of Alaunus, retrieving timepieces in the hope of defeating the evil Nevar. Rebus is a British television detective drama series based on the Inspector Rebus novels by the Scottish author Ian Rankin. The series was produced by STV Productions for the ITV network, and four series were broadcast between 26 April 2000 and 7 December 2007. The first series starred John Hannah as DI John Rebus; and was co-produced by Hannah's own production company, Clerkenwell Films. After Hannah quit the series, the role of Rebus was re-cast, with Ken Stott appearing as Rebus in three subsequent series, which were produced in-house by STV. SMart was a British CBBC television programme based on the subject of art, which began in 1994 and ended in 2009. The programme was recorded at BBC Television Centre in London, previously it had been recorded in Studio A at BBC Pebble Mill in Birmingham. The format is similar to the Tony Hart programmes Take Hart and Hartbeat. The show was revamped into an hour-long show in 2007; from 1994-2006 it was previously a 25-minute show. From 1994–2005, the show also featured Morph, originally from Take Hart. It has 199 episodes. CBBC last aired SMart on 11 August 2011. Jensen Ross Ackles is an American actor and director. He has appeared on television as Dean Winchester in The CW horror fantasy series Supernatural, Eric Brady in Days of Our Lives, which earned him several Daytime Emmy Award nominations, Alec/X5-494 in Dark Angel and Jason Teague in Smallville. He also starred as the lead in the box office success My Bloody Valentine 3D and voiced Jason Todd in the popular animated film Batman: Under the Red Hood. Roger Howarth is an American actor. He played character Todd Manning on the daytime drama One Life to Live (OLTL); the character earned Howarth a Daytime Emmy Award in 1994, and is cited as an icon in the soap opera genre. He left the series in 2003 and joined soap opera As the World Turns, where he played the character of Paul Ryan until the series final episode in 2010. Howarth returned to OLTL in May 2011, eventually deciding to continue the role on General Hospital in March 2012. He now portrays Franco on General Hospital, the character formerly created and portrayed by James Franco. In addition to his soap opera work, Howarth has guest starred in television shows such as Prey and Dawson's Creek. Ian Buchanan is a Scottish television actor who has appeared on multiple American soap operas including Twin Peaks,General Hospital, Port Charles, The Bold and the Beautiful, All My Children, and Days of Our Lives. David Tom is an American actor. Maurice Benard is an American actor. He is known primarily for his portrayal of Michael "Sonny" Corinthos Jr. on ABC soap opera, General Hospital, a role he has portrayed since 1993. Peter O'Brien is an Australian actor, best known for his role as an original cast member in 1985 of Australian soap opera Neighbours as Shane Ramsay. Christopher Parker is an English actor and television presenter, best known for portraying Spencer Moon on BBC One Soap Opera EastEnders between 2002 and 2005. Jesse Gordon Spencer is an Australian actor and musician. He is best known for his roles as Billy Kennedy on the Australian soap opera Neighbours, Dr. Robert Chase on the American medical drama House (2004–2012) and Lieutenant/Captain Matthew Casey on the American drama Chicago Fire (2012–present). Leigh Joseph McCloskey is an American actor, artist and writer. As an actor, he has appeared in numerous television series and movies, including a 46-episode stint as Mitch Cooper on the popular American soap opera Dallas, and a leading role in the Dario Argento-helmed supernatural horror film Inferno. Walt Willey is an American actor. He is best known for playing Jackson Montgomery on the soap opera All My Children from 1987 to 2011. 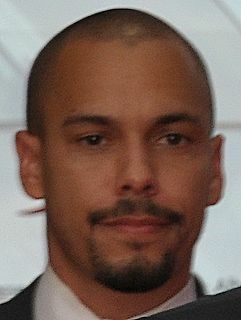 Bryton Eric McClure, also credited as Bryton James and Bryton, is an American actor, voice artist and singer. As a child actor, he played Richie Crawford on the ABC/CBS sitcom, Family Matters. He currently plays Devon Hamilton on the CBS soap opera The Young and the Restless. Devon Carlo Anderson is an English actor. Anderson's roles include Billie Jackson in EastEnders and Sonny Valentine in Hollyoaks. Lindsay McKenzie is a Scottish actress who starred in BBC One children's show, Raven: The Island, playing the part of Princess Erina. She attended Kilmarnock Academy and then went to study acting at Liverpool Institute for Performing Arts (LIPA). Shannon Flynn is an English actress from Rochdale, Greater Manchester, who is best known for playing Emily James in the BBC school-based drama, Waterloo Road. Flynn has also had a presenting role on the CBBC show Friday Download, and had starred in its film, Up All Night. From 2013–2015, Flynn starred in the CBBC children's show, Dani's Castle. Shane O'Meara is an Irish actor best known for playing Connor Mulgrew in Waterloo Road and Sean Donoghue in BBC One daytime soap, Doctors. Aisha Toussaint is an Seychellois actress based in Scotland. She is best known as Jules Belmont in River City and the second presenter of CBBC's Raven since 2017. 1 2 "James Mackenzie" . Retrieved 27 November 2007. ↑ "The Spotlight: JAMES MACKENZIE". Archived from the original on 6 July 2015. Retrieved 19 September 2007. ↑ "James Mackenzie |Brennan Artists" . Retrieved 27 November 2017. 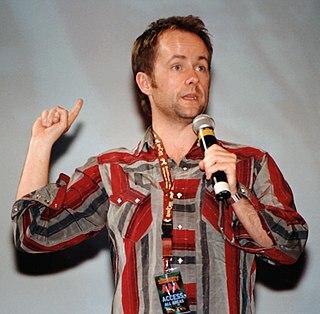 ↑ "Billy Boyd Interview with The Proclaimers" . Retrieved 27 November 2017. ↑ "CBBC Episode Listing" . Retrieved 6 September 2009.